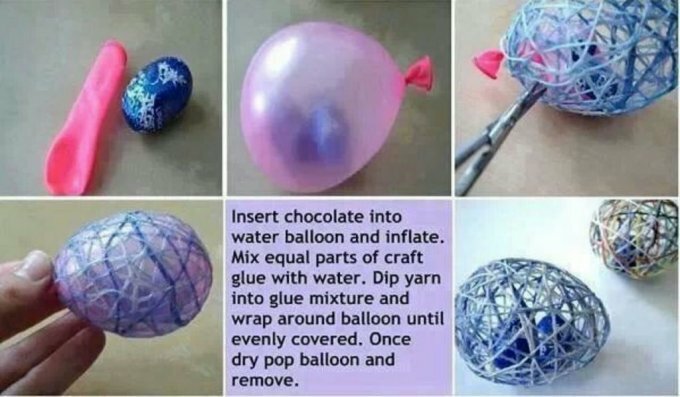 Be creative this Easter and make something unique and fun. These yarn Easter eggs with chocolate inside are bound to be a big hit with children. 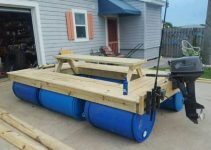 This is really an easy DIY project. 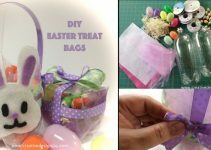 All you need is some yarn or string, a small balloon, a small chocolate prize to put inside your “egg,” and equal parts water and sugar. 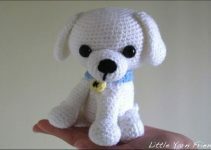 Cheap and fun to make! 1. Insert the chocolate prize into water balloon and then inflate it. 2. Mix equal parts of craft glue and water. 3. Dip your yarn into the glue mixture and wrap around the balloon until evenly covered. 4. Once dry, pop the balloon and remove it.